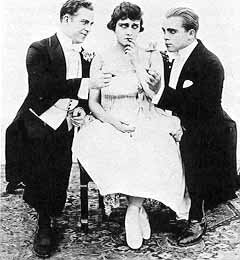 Mack Sennett was very pleased with the teaming of Vernon and Swanson and they were a hit with the public as well. In their sophomore outing, Swanson must choose between Vernon and Reggie Morris. Gloria enjoyed working with Vernon and he taught her many aspects about film acting.